There's been tons of talk about Apple's not-so-secret autonomous car, but a new report may have well and truly let the cat out of the bag. The Guardian says it has documents that show Apple executives have “discussed their plans” for a self-driving car with California's department of motor vehicles. Apple's legal team, led by senior legal counsel Mike Maletic, reportedly had an “hour-long meeting” with DMV deputy director Bernard Soriano and the chief of strategic planning Stephanie Dougherty, as well as deputy director and chief counsel for the DMV, Brian Soublet on August 17. Those individuals are co-sponsors of California's autonomous vehicle regulation project, which Google, Tesla, Mercedes-Benz, BMW and now Honda are involved in. The report says Apple was meeting to review the DMV's regulations, which all car companies must adhere to take their self-driving cars to the streets. Apple, which is known for keeping its tech under strict lock-and-key, will have to follow the process like everyone else. That means it must provide the DMV with the make, model, and ID number of its cars and even the name of the test drivers. We wouldn't expect to see Apple cars around Cali anytime soon, though. We've already heard the iPhone maker is in talks over a test track in San Francisco where it may try stay hidden for now. 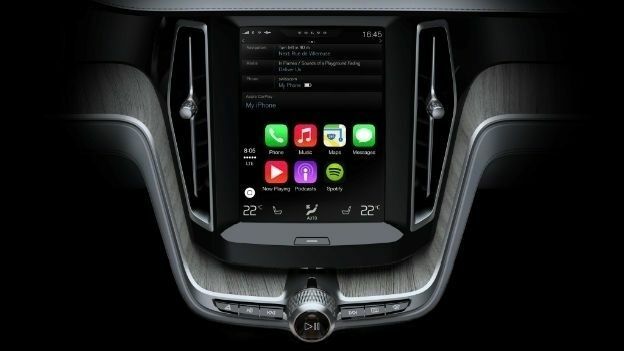 What do you want to see from the Apple Car? Let us know in the comments.